They will be nowhere to be seen on opening day. They have calendars. Good hunting, everyone! I hope to post a pic made possible by a boolit! With deer and dove seasons marked by by grabbers. Yeah, I don't know where they go but they go somewhere. 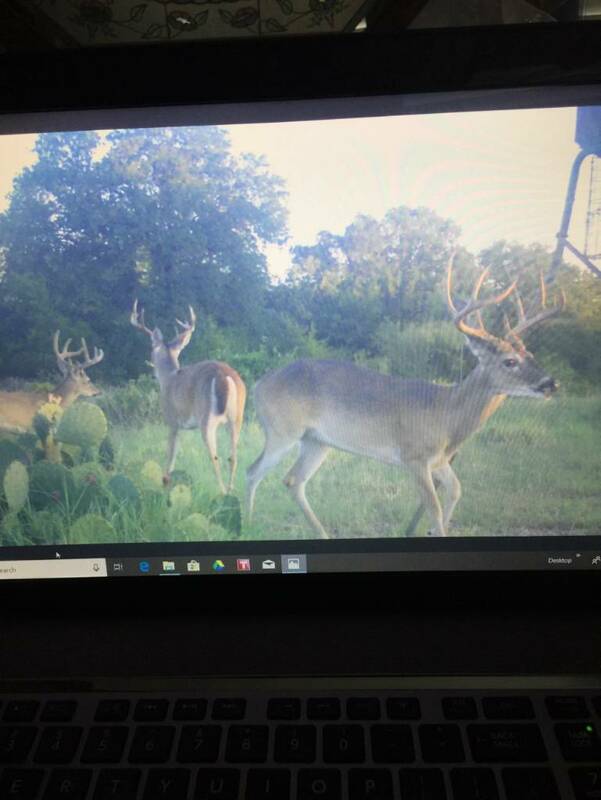 My brother and nephew keep cameras out where we hunt. By deer season Bubba will have every buck in the area memorized. While we may kill a few bucks with a couple being good ones rarely do we kill one that we have pictures of. It's like the bucks in this area move to new territory and other bucks fill the void. Maybe this is how nature prevents inbreeding. Buck out at my Daughters place has a good left side, right side is kind of garbled up, drop tine out at about 45 degrees with 3 nice points on it. Son-in-law said the kids may have to fight him for that one. Some years ago I had 50 acres over in eastern Oklahoma. Every year in spring I found sheds from the same non-typical buck. I never saw the buck. Last year I lost both my leases. . .one got sold off and developed into a horse farm and the other the gentleman passed away and family has the land in probate. 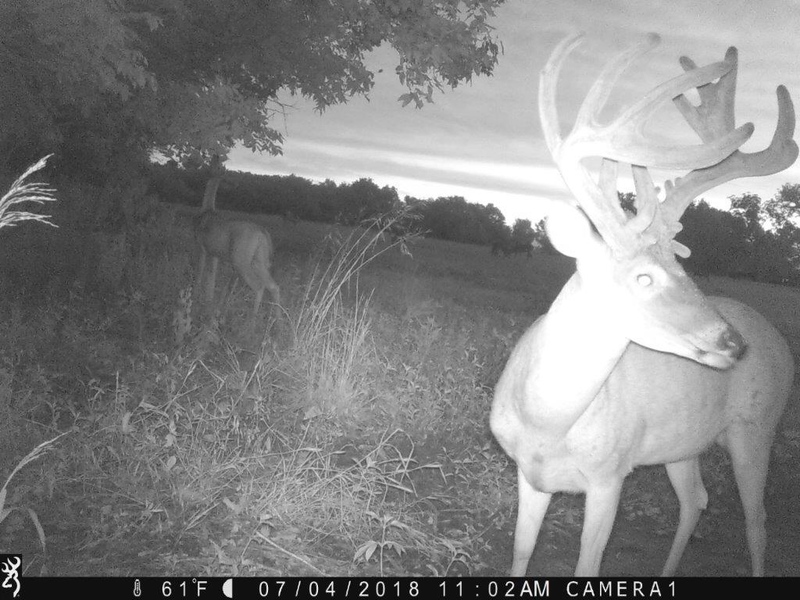 I kept cameras and feeders going about 8 months out of the year a would always get a few nice bucks on camera. Shortly after bow season was underway they went nocturnal or totally ghost! Every so often I would kill one of the nice ones I had on camera, but usually it would be a "new comer" to the `hood I would kill. 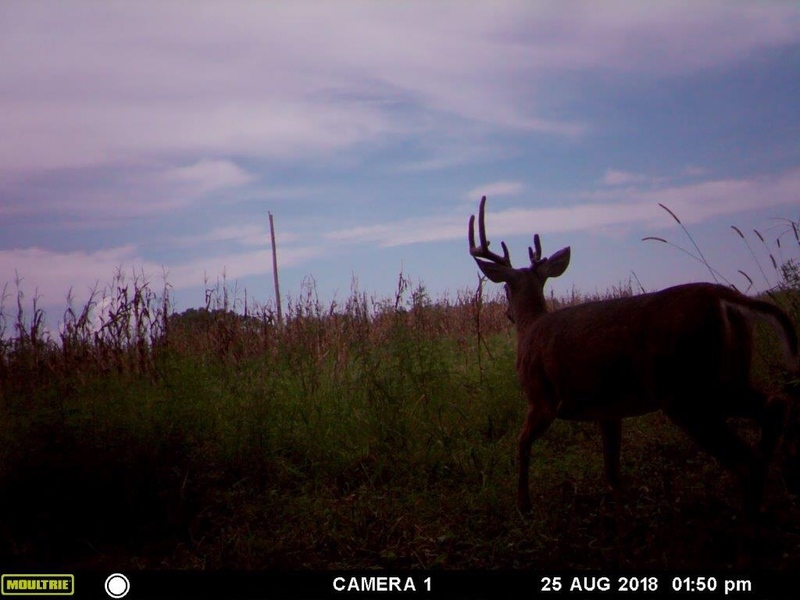 Like Wolfer said in post #3; resident big bucks seem to go on vacation and new guys come in on their vacation, only to have it cut short due to a faltering pump station! I'm still on my quest to find some new private hunting ground. . .the public land stuff is mentally unhealthy! - LOL Good luck to all this year. Radically unequal left/right beam configuration is normally indicative to an injury in the previous year to the off side of the retarded beam. Wife just picked hers our as well. Better get him with the crossbow ! I have not been hunting in a few years. I am ready to be back in the woods again. I love watching the sun come up and everything come alive.